Shenpen Taiye was a student of many of the Nyingma masters including the First Dodrupchen Rinpoche, Jigme Gylawe Nyuku and Mingyur Namkai. He spent many years meditating in remote places in Tibet from Mount Kailash down to Mount Lanchen Gying Ri in China, attaining great realization. In 1842, after an earthquake had destroyed it, he oversaw the rebuilding of Dzogchen Monastery where he reinvigorated the practice of the Vinaya as well as the traditional rainy season retreat. 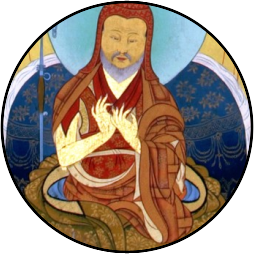 Among other accomplishments, Shenphen Taiye assembled the kama teachings of the Nyingma tradition into one collection.